We recently had an outbreak of lice in our home. My youngest and I ended up with it. Luckily, we caught it early and it wasn’t extensive, but it was still unpleasant and a lot of work. Being a good Survival Mom, I was prepared with a nit comb but I didn’t really know much about treating it. All I knew is that there is a chemical-laden shampoo and tea tree oil can help. As it turns out, tea tree oil is only helpful if you don’t have lice yet. Once you have them, it doesn’t do much. The first, and possibly most important, thing to know is that there is one, and only one, way to avoid using a nit comb: shave the head entirely. Unless you are talking about a very little boy in summer, this is almost certainly overkill and should be avoided. Just know that you need a GOOD nit comb and that you will spend a lot of time using it. You will also have to do many loads of laundry, as discussed in Part 1. We used the chemical laden shampoo simply because as soon as a kid uses it, they can go back to school. There are a few problems with it, from my point of view. First, it uses extremely heavy-duty chemicals, applied directly to your scalp. Second, lice are becoming resistant to it. Third, it can cause problems for asthmatics. While I didn’t have a reaction to it, my son’s asthma did get noticeably worse as soon as we used it. To top it all off, the shampoo wasn’t even effective for me, which created a fourth issue. Would I use it again? Not voluntarily. Will I judge anyone else who uses it? Definitely not, because if it works, then you are done faster and with less mess than going through another route. Plus, schools like it. There are companies that will come to your house to help you start the cleaning process and to check the head of every family member. The estimate I received was approximately four hours for four people, although it can VERY easily be more, especially if anyone has long, thick, or curly hair. It takes nearly an hour to check one head with no lice, so it will definitely take longer (and cost more) if the infestation is established. It is important to get everyone checked because it is easy to spread among family members. Especially those who share pillows, blankets, hats, etc., and because lice are tiny and easy to miss if you don’t know what you are looking for. (If you think you don’t share, consider the sofa, winter hats, and hair brushes.) It is also important to have everyone learn how nit pick. Literally. They said that it isn’t unusual for dads to be lice free and for moms to have the hardest time becoming lice-free. Moms usually have long hair and no one to check their heads while they are busy delousing the rest of the family and the home. I read a lot about how there is no proof these work, but the company we called to our home, uses nothing but olive oil and nitpicking. It boils down to this: natural remedies take time and a lot of it. You can’t put olive oil or vinegar in your hair and rinse it out after ten minutes like you do with lice shampoo. That won’t do anything. Lice have evolved over thousands of years to survive on humans. It takes real effort to get rid of them. My son and I both felt like vinegar made a huge difference compared to the lice shampoo. We drenched our hair in vinegar, put on a shower cap, wrapped a towel around our necks, and left it that way for at least an hour. After that, I combed through with a nit comb until I wasn’t seeing anything else. Then we washed our hair and went through it with a nit comb again. As with many home remedies, it isn’t clear how long it has to stay on, but I felt an hour was long enough for the acidity of vinegar to do some real damage to the lice, nits, and eggs without aggravating our scalps too much. I have read as little as ten minutes is recommended, but that doesn’t seem like enough time to make a real difference. How does it work? The acidity causes eggs to no longer adhere to the shaft of the hair, so they become non-viable. From what I have read, vinegar doesn’t do anything to harm or kill adult lice. I do know that vinegar is not a growth medium. 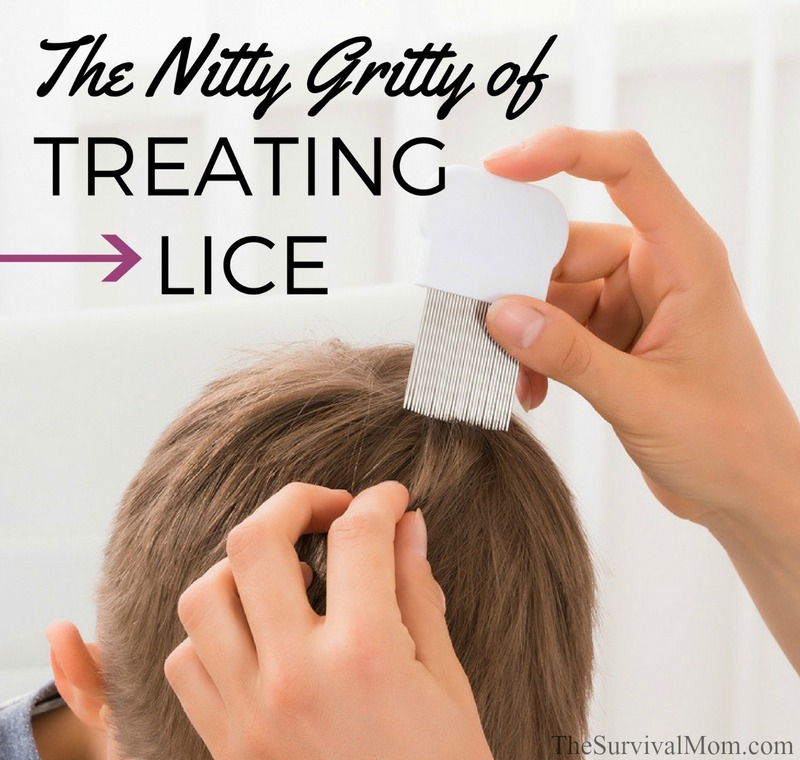 It isn’t good for any other living organism, so how could lice be any different. If nothing else, it seems like it should make them more vulnerable to other methods, like olive oil. Using vinegar every other day, or more will help ensure that even if there are still some living lice, new ones won’t be hatching. You should be done in approximately three weeks when their life cycle ends. If you alternate vinegar to kill the eggs and olive oil to kill the living lice, you can be done sooner. This is the process recommended by the delousing service we used. It relies on olive oil and a good nit comb and it is a THREE WEEK PROCESS. Lice can hold their breath for six hours or longer. You will need to coat your hair with olive oil and leave it on for at least eight hours at a time. The easiest way is, of course, to have it on your head when you sleep. This will suffocate and kill the adult lice while conditioning your scalp and hair. First, thoroughly coat each person’s hair with olive oil and let it sit for 8 hours. Then go through their hair in small sections using a nit comb. Second, have them wash the olive oil out out using a small amount of dish detergent. Shampoo doesn’t cut through the oil as well as dish detergent. Then dry their hair. Third, go through their dry hair with a nit comb. Fourth, re-apply the olive oil and cover with plastic or a shower cap. It is critical that the roots and scalp are well-coated since that’s where lice hang out. Inexpensive and disposable shower caps can be found here. https://smile.amazon.com/dp/B019Y8QXFO?psc=1 The disposable ones are more comfortable than re-usable ones made of thicker plastic. Use your discretion with younger children as sleeping in a plastic cap might be dangerous for them.Continue this process with everyone in the family. To protect flooring, put something down to absorb any oil spills. Old towels work great. Be sure everyone is wearing an old shirt because oil will probably slide down their neck and get onto their shirt. Wrap a towel around the neck while you are nit-picking and applying oil. Anyone who has lice, even once, needs to repeat the olive oil treatment for three more days (four days in a row, total). After that, they need to do it five more times, with treatments three days apart. 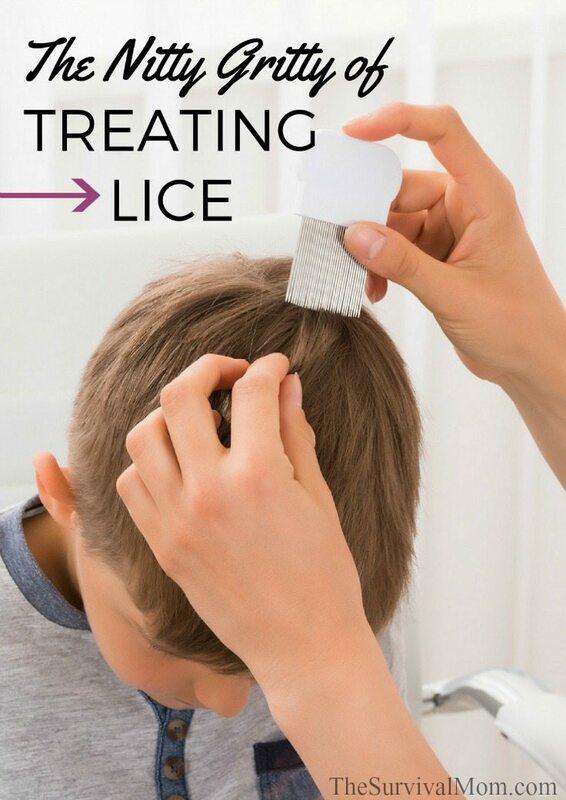 Anyone who does not have lice, should do this treatment twice a week for three weeks. Clearly, no one wants their bedding stained with olive oil. Cover pillows that aren’t easy to wash with a plastic bag under the pillowcase and simply toss the pillowcase in the laundry after olive-oil nights. We have very nice memory foam pillows, that I would hate to toss in the laundry. They were put to the side for two weeks to ensure anything on them was dead. During this time, I used easily washed throw pillows with pillowcases, that I washed daily. Tea tree oil in shampoo is a good way to repel lice and prevent an infestation. The Fair Tales brand is quite popular and affordable. Take a look and learn more here- https://smile.amazon.com/Fairy-Tales-Repel-Shampoo-Rosemary/dp/B000O7PL2G/ref=sr_1_2_s_it?s=hpc&ie=UTF8&qid=1498749639&sr=1-2&keywords=fairy+tales+shampoo Realistically, it is simply something that happens and is difficult to prevent. There is a stereotype of lice being attracted to those with dirty hair. Lice actually dislike dirty hair and hair with a lot of product because it makes it harder for them and their eggs to attach to the hair shaft. Ironically, when all was said and done, my hair was probably cleaner than it was the day I was born. After weeks of vinegar, olive oil and the nit-picking, the delousing lady said my scalp was pristine. There wasn’t even any dandruff on it. INSTANT SURVIVAL TIP: Stock up for the flu! I am a former public health nurse and dealt with head lice frequently. One thing we advised was a good vacuuming of the house: the floors, soft furniture, beds, cloth toys, the car interior. Discard the resulting debris in a sealed plastic bag in the trash. Wash clothing, all the bed linens in hot water and use a hot drier. As an alternative, you can us a hot iron on clothing or the bed. Anything you can’t treat this way, seal up in a plastic bag and leave for two weeks. Getting rid of the lice will be much more difficult if only the head is addressed. Olive oil is not cheap. You can use kitchen oil, it have the same result. Lice don’t like lavender essential oil, so I use it for prevention ( 3 daughters with long hair). Small things you can’t wash, put it in the freezer, 3 days. after learning that “our” lice were immune to even the real toxic stuff, I sat down and catched every little monster by hand, one after another and cut single hairs with a nit on it off.. It took 2-3 hours for each of my two long haired girls… 3 days in row, the first was horrible, the second I found only one or two last lice, that was it. After weeks of trying lice-shampoo that didn’t work I was very surprised we got rid of them that “easy”. When my 2 sons (and me!) got head lice from the children down the street, I used the Nuvo Method, and it worked! There’s a website with detailed information (nuvoforheadlice), but essentially you use Cetaphil. Saturate the head, comb out excess, then blow dry (takes longer than if the hair was wet with water). Leave it on for at least 8 hours before washing. That’s it! Once a week for 3 weeks, and you’re done. I highly recommend this method.